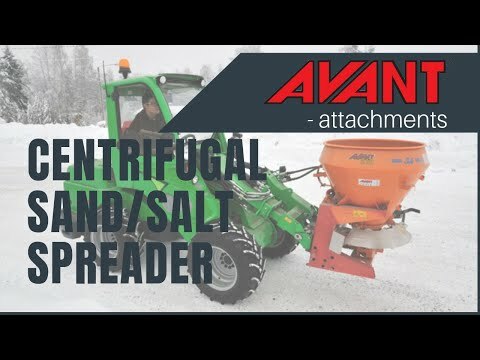 Centrifugal Sand / Salt Spreader - Reach It! - Move It! - Crush It! *) Rear mounting possible only on 700 series. Requires also attachment mounting plate in the rear (A35412/A36552) and auxiliary hydraulics outlet in the rear.